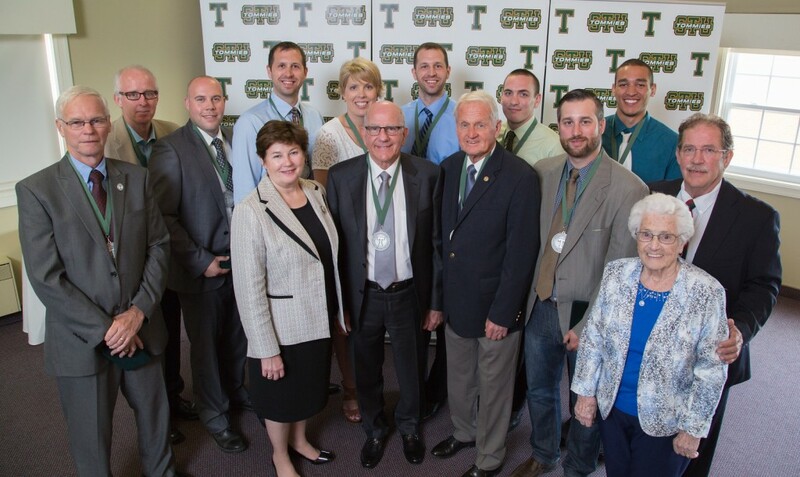 Five Tommie greats and a national medal-winning basketball team joined an elite group of St.Thomas athletes at the 2015 Sports Wall of Fame induction luncheon. Father J. Arthur Scott, Crystal Cernivz, Callum MacPhee, Gordon Wheaton, Robert Mabie, and the men’s basketball team from 2003-04 made up the class of inductees. President Dawn Russell welcomed the inductees, noting their role in St. Thomas’s athletic history.